“Urban farming… is a composition of many different activities like gardening, staple food production, gathering, hunting, and even urban forestry often combined with food production.”3 Pushing towards an urban agriculture system will allow for delivery of a better quality of produce and leave a smaller impact on the environment due to less shipping. This would in turn create better access to fresher produce at cheaper prices. The problem is that with our current infrastructure its very difficult for people to get involved into urban agriculture. Community farms are limited and small, and roof-top gardening is not accessible to the majority of an urban population. So how then can individual households contribute to the growing need for urban agriculture? By growing in their living spaces. This is unappealing to many urbanities, because of two main reasons, first indoor cultivation is too complex (in regards to knowledge and time required), secondly the majority of urbanities lack an adequate space in which to grow vegetables. In order to facilitate a grass roots culture of urban farmers to begin to take the strain off of the current agriculture model, an easy to use system which takes up limited space must be provided. 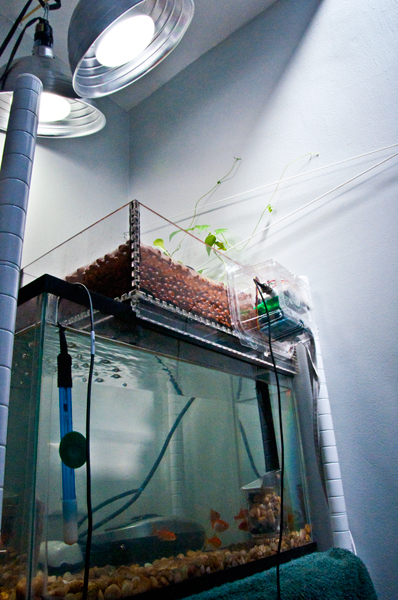 Easy Edibles is an effortless home hydroponic system which maximized limited space for indoor gardening; it simplifies home hydroponics by feeding and cleaning itself while growing organic vegetables, with limited maintenance.